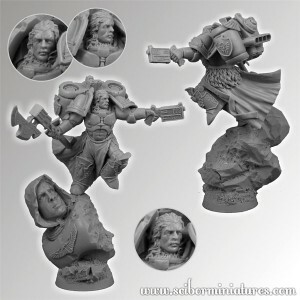 Scibor Miniatures continues their Graal Knight line with a new Jetpack variant. Check 'im out! It may be used as player’s hero, independent character, trooper or whatever else You want! In blister You’ll find 1 unpainted resin miniature and scenic round, 25mm, resin base.